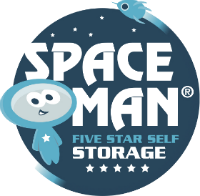 Spaceman Self Storage has the vehicles and the space for you. We have a storage solutions for domestic and commercial usage. secure lockable and easily accessible. You may need to make more room in your home or have memorabilia you cant fit in your loft. We provide long and short term home storage solutions. those things that mean the World to you. Let us help you with the stress of clutter. We offer a personal decluttering service from organising a part or your complete home. We have a wealth of experience with commercial businesses in all sectors. Before the rise and rise of self storage, house movers rarely had the luxury of moving their things in their own time. Moving home is an exciting and challenging time. You may not be able to eliminate stress entirely, but by using the right company you can reduce it to an absolute minimum.